Choosing the right optic relies purely on a great many personal factors. Shooting style, placement, and purpose of the optic all are factors that come into play. Night time hunting requires a different type of optic than day time. Knowing the range of the targets help as well. There are several types of mounting devices that allow for a different level of comfort for the shooter. Price and quality must be also taken into consideration as well. All of these factors come into play when choosing a scope for a 22 rifle. Below is our list of the Top 3 Optic Choices for a 22 Rifle. 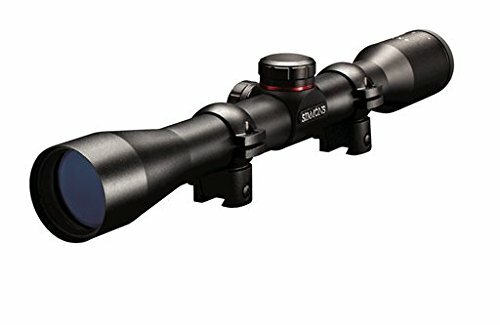 For a full and detailed list of all other scopes out there, check out our primary guide by clicking here. One of the rated options on the market, the Barska is not only an economical choice but also a quality piece of gear. This model has a 32mm lens with the magnification level from 3 to 9 times. This allows the shooter to pinpoint the target from a distance without compromising their position. The optic itself is 12 inches in length and the universal mounts are easy to place on the rifle. The light weight construction makes for a model that is easy to handle. The adjustment knobs are removable to expose the dials to ensure proper cleaning and calibration. Water, fog, and shock-proof lens. Tube Dimensions: 12″ x 1″ at center, 32″ at lens. 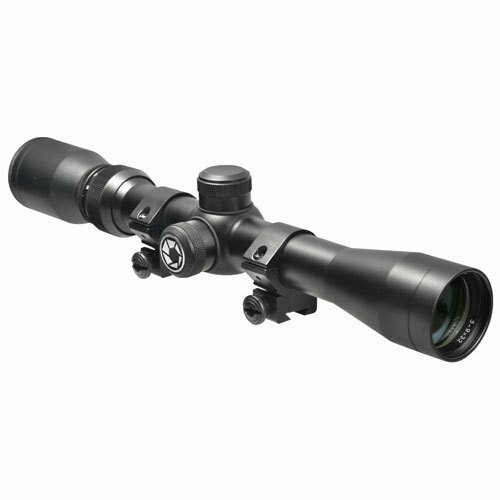 This quality model is the choice of the military where it is often outfitted on sniper rifles. With a field of view rating of 31.4/10.5 feet at 100 yards, this option will help the shooter put the bullet right on the target with accuracy. Coated in a matte black, it absorbs light. The patented SureGrip rubber surfaces allow for easy adjusting in just about any type of shooting condition. The HydroShield lens coating gives the shooter an unobstructed view every time regardless of the surrounding weather conditions. BSA comes to the range packing with this beast of a 40mm. This model comes recommended by other shooters and professionals as an economy minded alternative that provides the most for the dollar. The over sized knobs make for easy adjustment and the Sweet also has adjustments to compensate for wind and elevation. Weighing in at a mere 20 ounces this model is light weight and delivers a punch. Quick Change turrents for variable grades. 10.8-3.6 mm exit pupil lens. The optic you choose says a good deal about the style of the person behind the gun. 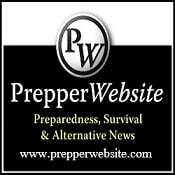 Accuracy and ease of use is a beneficial but having a model that allows for greater range and is durable is also quite necessary. Each of these choices offer much of the same qualities but vary in the intricate features that they offer. Reliability through the elements and lightweight construction help improve the shot. Choosing the right option to get the job done requires the shooter to evaluate what they want that scope to do for them. For other reviews, click here to read more.